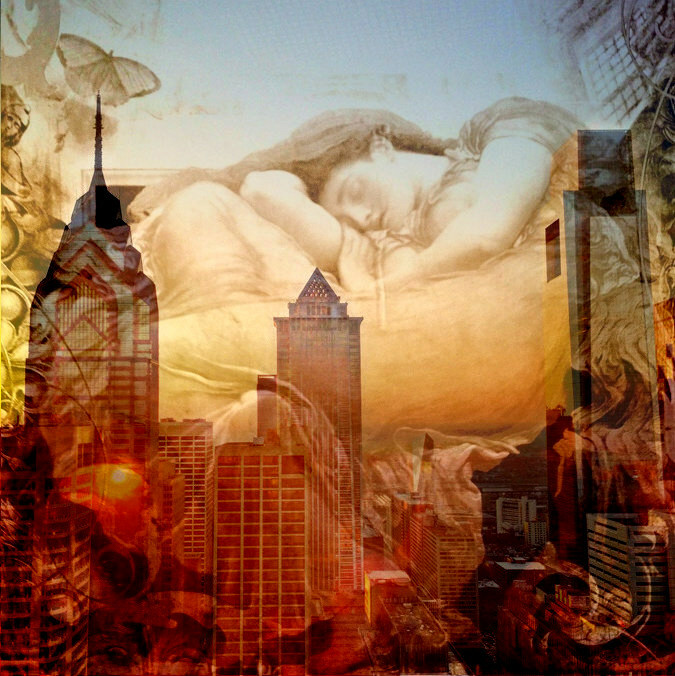 Philadelphia Dreaming is a simple digital collage created by blending two jpeg images. 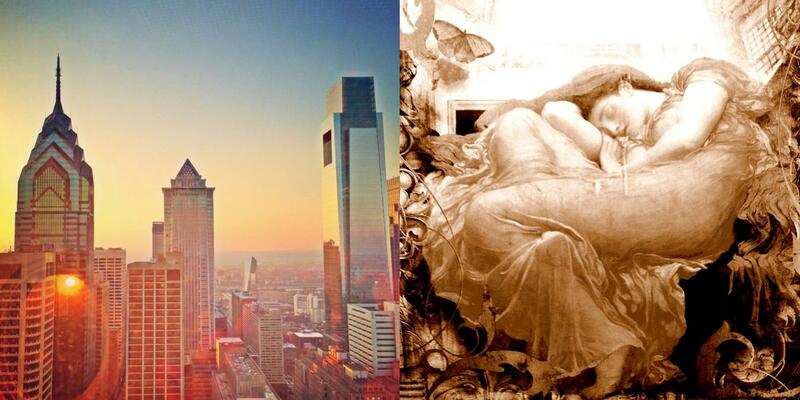 The image below left was found via Google image search using the search term “Philadelphia skyline view.” The image below right is a photo collage based on the painting, “Flaming June,” by Sir Frederic Leighton. Each image was scaled to match the other. I blended the two and adjusted the transparency using lunapic.com, a free online photo editing tool. Pleased with the results, I couldn’t help but think that these two images were made for one another! mmmm! lovely!! nice blending of images, and the colour scheme really strengthens it! a lot people seem to really like that image of the sleeping woman by leighton. it’s a superb work! Namesi, thanks for stopping by to leave a comment. Indeed, the two images blended nicely together; the finished product was quite the visual treat, if I do say so myself. And I love the Leighton piece. It’s one of my favorites.